On Thursday, January 10th, Seth MacFarlane, creator of Family Guy and Ted, and the 2013 Oscars host, announced the official Oscar nominations for this year. 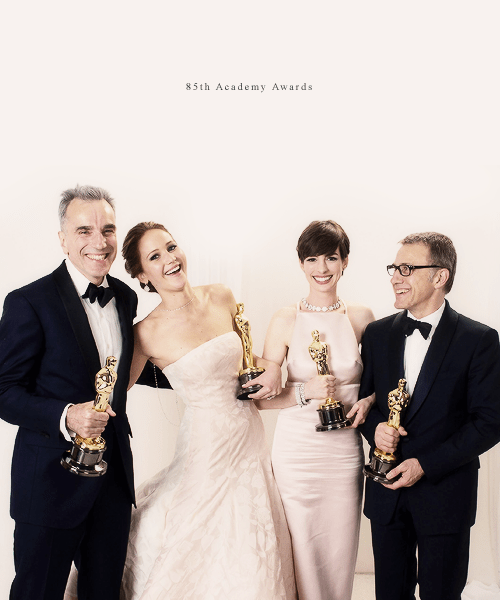 The 85th Academy Awards will be presented live on Sunday, February 24th on ABC36, starting at 7 in the evening. Nominees for the elite Best Picture category include obvious choices like the highly anticipated movie-musical Les Misérables, Golden Globe winning Argo, the historical drama Lincoln, Ang Lee’s beautifully adapted Life of Pi, the intense Django Unchained, and Zero Dark Thirty, starring Jessica Chastain. Dark-horse Beasts of the Southern Wild and the French foreign Amour came as pleasant surprises, as did Silver Linings Playbook which opened to a very limited release, but has since given lead actress Jennifer Lawrence a Golden Globe win. Denzel Washington received a well deserved Leading Actor nomination for playing wild pilot Whip Whitaker in Flight, but has stiff competition against Daniel Day-Lewis’ Abraham Lincoln and a singing Hugh Jackman as Victor Hugo’s Jean Valjean. Life of Pi, The Avengers, Prometheus, The Hobbit: an Unexpected Journey, and Snow White and the Huntsman will go head to head for Achievement in Visual Effects. Already holding her Golden Globe, Adele will take her James Bond song “Skyfall” to the Oscars to battle it out with songs from Chasing Ice, Ted, Life of Pi, and the one song added to the movie version of Les Misérables not in the original stage version. Best animated movie nominations include Brave, the Golden Globe winner for best animated film, Disney’s Wreck-It Ralph, The Pirates! Band of Misfits, and two spooky, Halloween-ey movies, ParaNorman and Tim Burton’s Frankenweenie. Noteworthy is Leading Actress nominee 9 year old Quvenzhane Wallis who portrayed a very emotional and powerful Hushpuppy in Beasts of the Southern Wild. 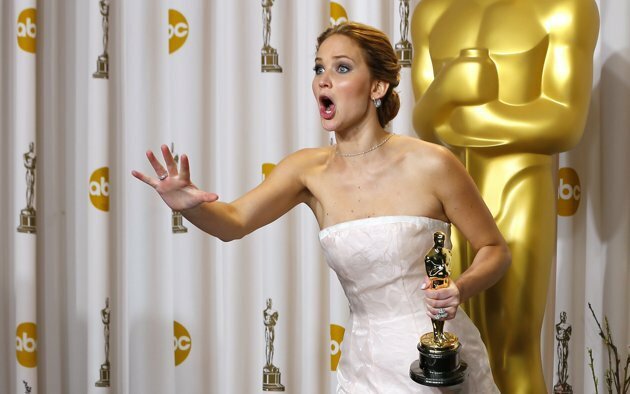 She is the youngest performed to ever be nominated for a Golden Globe. Fan of award shows? Be sure to check out the 55th Grammy Awards on Sunday, February 10th starting live at 8 pm on CBS-27. Bringing Les Mis to the big screen was ambitious, to say the least. No one could doubt the magnitude of the project after seeing the cast line-up. But even with so many star actors and actresses, bringing the popular musical to the movie screen was a dangerous gamble. When Les Mis the musical first appeared in London in 1985, critics disapproved of turning a piece of literature into a musical production. But following record box office sales, the production has run continuously since that time, making it the world’s longest running musical. Similarly, it’s hard to imagine a musical, intended to be performed with all the emotion that comes with live performance, being turned into a big-screen hit. But Les Mis met with great success as a movie as well, grossing hundreds of millions of dollars worldwide and winning three Golden Globes as well as eight Oscar nominations. Sure, Les Mis has its problems. Not all the characters were played by Broadway singers, and not all the songs followed Les Mis the musical. But in the end, Les Mis is a success, just like the musical and just like the book, because it effectively captures Valjean’s passionate cry for grace in the face of the law. Singing need not be perfectly in tune or in time for us to recognize Fantine’s desperation, Javert’s hate, or Eponine’s love. In a way, Les Mis’ imperfections demonstrate exactly what Victor Hugo wanted us to realize: that forgiveness of fault is greater even than obedience to the law. Les Misérables, the story of multiple characters from all walks of life each yearning for purpose within the corruption of society, was released on the big screen this past Christmas and has acquired an overwhelming positive reaction from the public, mostly for the ability of the movie industry to overdramatize drama, if such is possible. Personally, I’ve never been a fan of musicals becoming movies for a few simple reasons. First of all, theatre is meant to encapsulate the audience with an alternate world in which they become apart of the production and sense a connection with the actors on stage. Within a movie, the connection is less personal for we become more prone to being numb of feeling for the movie industry simply feels, universally, less pure in principle. Most importantly, a theatrical performance varies with each showing, which portrays the indeterminate qualities of theatre and legitimate emotions that are evoked from these performances. My advice for the underclassmen is: don’t worry about what people think, in four years none of that will matter. Be yourself! And for the latest West Jessamine sports updates follow @thejj_sports on twitter and pick up your copy of the Jessamine Journal every Thursday! If you have ever seen that iconic blue, corduroy jacket in the halls here at West High, you have instantly been able to determine that the wearer is a member of our local FFA chapter. The Jessamine County Agriculture Department is proud to boast a membership of around 150 Freshman – Senior students within the chapter, and twice as many students enrolled in Ag classes. It is with the collaboration of both East and West High Schools coming together at JCTC, as well as the department’s 4 agricultural advisors, that Jessamine County has one of the best chapters in the state. A common misconception about the FFA Organization is that it is all about cows, plows and sows. However, since the early 1980s the organization has widened its classes to welcome in any student with a desire to learn more about the agricultural industry. The FFA now not only includes the farming aspect, but also strives to give back to the community through innumerable community service projects, as well as leadership opportunities and career development events. We are a diverse family of agricultural optimists and community leaders with a desire to aid in any way. Dues are $20, that’s all. You don’t have to live on a farm. You don’t have to have ever even touched an animal. All that is required is an AG class and a desire to join. We promise, you’ll look great in national blue and corn gold; corduroy is always in style in the Ag. Department! The biannual regular season matchup of the West Jessamine vs. East Jessamine basketball clubs has grown into one of the most exciting rivalries in the region. Since their first meeting in 1998, the Colts have dominated the rivalry with a 27-15 record in the matchup. Every year, the teams prepare for the contest, with one game being hosted at each school site. In recent years, the involvement of each school’s student sections has grown remarkably. In fact, this is no longer a simple meeting of two Jessamine County teams; it has become a fierce rivalry between each school’s student bodies. If you’ve ever witnessed one of these games, you can see and feel the extreme amount of school pride demonstrated by each of the school’s student sections. Every year, the respective student sections bash the other as much as possible with a series of spirited chants from each side. One would logically ask why this is the case. The answer is school pride and a healthy spirit of competition. The truth is there is little difference between the students of East and West Jessamine. They are share same county and are familiar with each other, but when it comes to the East vs. West rivalry, look out. All in all, it is more than just a basketball game; it becomes an all-out war of which side of the county can truly out due each other. In recent seasons, the Colts have suffered a five game skid against the Jaguars, the last win against East arising in 2011 from a team led by Jarrod Polson, a current University of Kentucky Wildcat. The “Colt Crazies” pulled off quite the stunt for one of the 3 match-ups between the teams in 2012, with baby powder being thrown into the air by nearly everyone in the student section, fogging the East Jessamine gymnasium and delaying the game half an hour for cleanup. This year, as always, there was great anticipation leading up to the matchup during the week. The West Jessamine senior leaders of the student section concurred during the week as to what was to what be worn collectively by the student section for the Friday, January 4th game. After much confusion, the verdict was finally reached for a “Red-Out”. A deafening noise of screaming from each student section arose as hysteria filled the gym prior to tip off. West received the ball to start the game and raced their way to a 20 point lead by halftime at 47-27. Though East rallied and cut the lead to 14 at the beginning of the second half, the Jaguars proved no match for the veteran Colts as West cruised to a 98-63 triumph over the Jags. When the final buzzer sounded, the Colt Crazies rushed onto the court and celebrated with their team; it was the first win over East in nearly two years. The next matchup of the two teams will be in the latter part of the Colts’ regular season on Feb. 1 at East Jessamine High School. At the end of the day, after all the foul chants and hateful jabs between the two schools, the intensity of the rivalry can really show how near and dear the two schools truly are. One thing about the rivalry that makes it so special is that the kids playing against each other, and rooting against each other, have known one another for years, which brings all the more excitement and serves as even more motivation for the two schools to win against each other in the embittered rivalry. Well, and whoever wins gets bragging rights for an entire year. West Jessamine High School has continually become more advanced in the technological department. This includes SmartBoards, projectors and numerous technology labs. But with this advances we have negatives as well such as slow computers, glitches, computer crashing. Our school has made several strides to become more modern such as purchasing 500 iPads and updating our school website. But with becoming more technological we run the risk of depending on technology. If a computer crashes it makes it harder on us to perform simple tasks because we become more dependent on technology. Technology is used daily such as; taking attendance, checking our grades on infinite campus, typing papers, and looking at the content for your next test on Moodle. But as we do more with technology the more dependent we become. We use smart boards daily. The majority of classes use smart boards for compiling notes while other classes use them for videos or to give out bell work or bell ringers. The downside of SmartBoards is that they are slow and at times unreliable. Most of us have been in at least one of our computer labs or even the library (just for computer work). Depending on what you’re doing in the computer lab they can prove to be very useful or to slow to do anything. I put emphasis on slow sometimes the computers are unusable because of how slow they are. It may not seem like it but computers are a big part of our everyday lives. With the recent elementary school shooting in Connecticut, many people have been debating the legality of high-powered assault rifles. Those opposed to the guns being legal argue that there is no use for these assault rifles in hunting game. These rapid-firing machine guns can only be used to slaughter people, as seen in shootings across the country, or to shoot for no reason. President Obama claims that he will make gun control a primary concern in his second term as the President of the United States. Those who support the legality of these assault rifles argue that it is their “Right to bear arms” as given to them in the Bill of Rights. This also poses a very strong point. Both sides to the argument have very valid points and makes for a sometimes heated debate. Now for my input on the subject: I believe, as Americans, although we have the right to bear arms, there is no need for these high-powered death machines. They should be illegal because they are not used for anything of purpose, and as long as they are legal, mass shootings such as the one at Sandy Hook Elementary School, will continue to happen. He might have a new gig, but Yancey Marcum is anything but new to West Jessamine Football. Marcum was appointed to be the next head football coach on Wednesday, January 9. Marcum has served as an assistant coach for the past seven seasons at West Jessamine. A 2000 WJHS graduate, Marcum went on to play collegiate football for Youngstown State University, the school from which he graduated. He returned to West as an assistant coach in 2005. Of all responsibilities that come with being head coach, Marcum said that his main priority above all else is to influence his players’ lives. “I felt that being a head coach, I could implement the systems and the control and help kids more than when I was an assistant,” he explained. Marcum took the position as head football coach with four goals in mind for next season and many more seasons to come. First, he wants to win district. Second, he wants his kids to benefit not only on the field, but in the classroom as well. He plans to help each of his players do well in school and graduate. He also wants to guide his players so that they will be the best men that they can be. Lastly, Marcum wants to do what West has only been able to do once in the past 3 seasons- beat East Jessamine. When word spread through the hallways of West Jessamine that Marcum was to take the position of the next head coach, morale was at an all-time high. Returning Junior Running Back Devin Taylor said, “He’s taught me so much while he’s been a coach here at West. Not only about football, but about life in general,” when asked about the hiring of Marcum.